A new cat-like, blade-carrying champion has arrived in Hi-Rez’s team shooter Paladins. 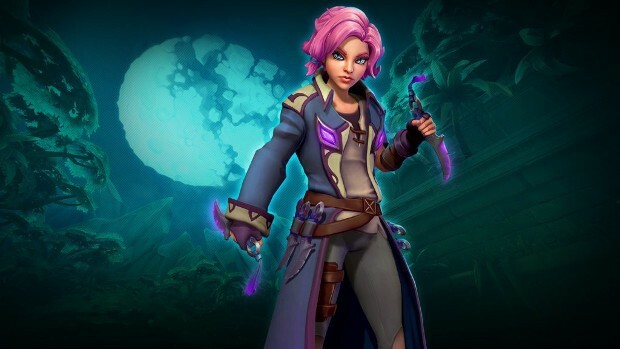 Called “Maeve, of Blades”, the new champion features several feline abilities. These include Pounce — which causes her to dash forward and collide with an enemy performing a 600 Damage melee Strike, as well as Nine Lives which allows her to heal for 500 Health and reset cooldowns. In addition, she also has a Daggers ability that grants her the ability to throw two Daggers every second, each dealing 450 Damage. Maeve arrives with a selection of cards designed to make her faster and stronger — taking advantage of her cat-like nature. These include Savagery, which causes Pounce to heal Health with every successful hit, scamper, which increases Movement Speed after Pounce ends, and Fight or Flight, which increases Movement Speed after activating Nine Lives. In addition, the update brings a selection of general changes to PvE — including the addition of a new special quest. Full details on the update can be found on the latest set of patch notes on the Paladins site.